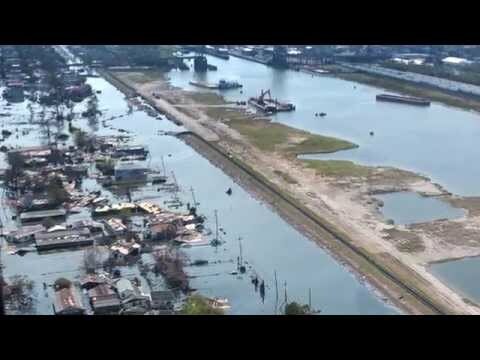 This week, as we neared the ‪#‎Katrina10 anniversary, a federal judge ruled that the Army Corps of Engineers must pay the full $3 billion cost of restoring wetlands destroyed by the agency’s improper construction and maintenance of the Mississippi River-Gulf Outlet (MRGO). Since before Katrina, National Wildlife Federation has been working with partners to propel bold state and federal action on projects to restore Louisiana’s important coastal habitat for wildlife and communities. NWF’s new video shows the progress that has been made to reduce risk for the Greater New Orleans Region and across the Louisiana coast by closing the MRGO, an action that has set the stage for meaningful restoration work in the degraded wetlands surrounding the Lower 9th Ward and St. Bernard Parish. Learn more about our efforts to restore the Mississippi River Delta.